We've been attempting to make a simple yellow style cake for a long time now. 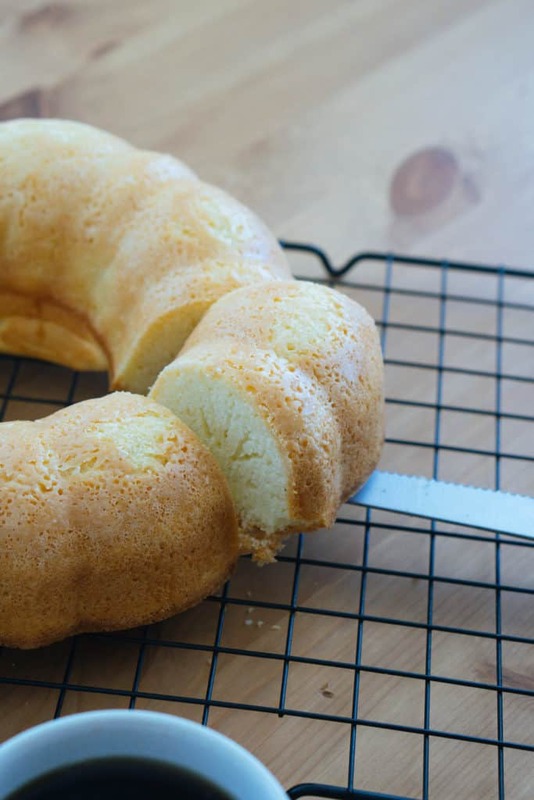 It's surprisingly hard as you can imagine, but this Breakfast Bundt Cake solves all our problems! It's a simple cake base that you can flare up to your liking. Maybe a brown butter, cinnamon frosting? Or, better yet, add some nuts and berries to the batter for a fun twist. Chocolate cake with peanut butter swirled in or as a frosting. Cinnamon sugar cake with walnuts and a vanilla glaze. Lemon poppy-seed Cake (great for breakfast). Berries and cream cake (raspberries in the cake batter and a whipped cream topping). As you can see the possibilities are endless, so have a little fun! Our Favorite Low Carb Desserts! Cake has always been one of our favorite desserts, but finding a simple cake recipe to use for all events and holidays is hard to come by on a keto recipe. That is exactly why we created this plain cake. You can frost it however you want and go crazy with the add-ins depending on the person it is for. Some other great desserts you can add your own flare to are our protein cakes, keto brownies and (blueberry) mug cake that you can easily change up the add-ins for! We've given you the recipe you need to make any holiday, birthday party or event special. Use this simple, delicious cake base to impress your family and friends and tailor it to your liking with additions or toppings! If you plan on storing leftovers in the fridge I would highly recommend you reheat it in the microwave. 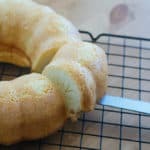 This breakfast bundt cake is pretty dense and can firm up, especially in the fridge, so a quick heating through will bring the moistness back to life! Note: There is no exact substitution for the protein powder in this recipe that would produce the same outcome since it differs so much in consistency from other flours and powders. If you want to experiment with another flour, please let us know how it turns out in the comments! 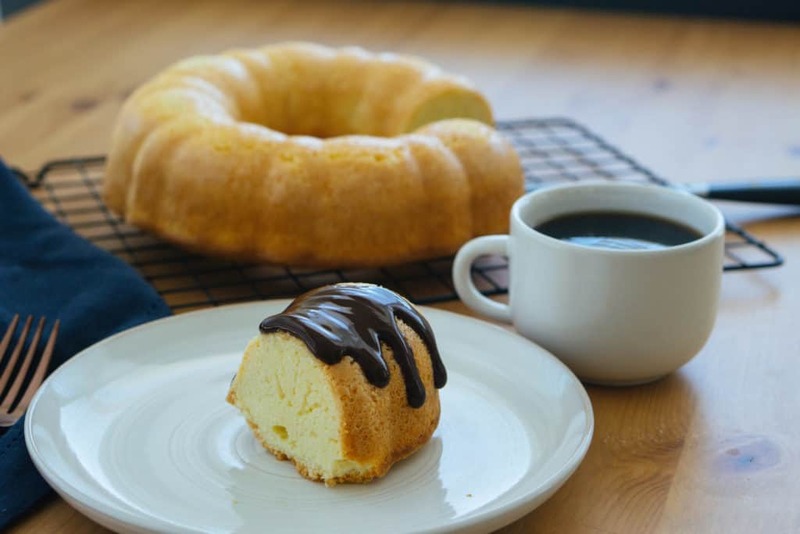 Recipe can be quickly added to MyFitnessPal - Search "KetoConnect - Breakfast Bundt Cake"
Preheat your oven to 350 degrees and grease a 10-12 cup bundt pan with coconut oil spray. Melt the butter in a large mixing bowl and combine with the eggs, flax milk, baking powder and pink salt using a whisk to combine. Add in the protein powder, almond flour and erythritol and combine once more until uniform in consistency. You should be left with a thin batter consistency. If desired add in other spices, nuts, seeds, but note that the nutrition will change. Bake for 32-37 minutes until the top has risen and browned. Allow to cool for 15 minutes before flipping over. Enjoy! Store in a sealed container in the fridge for best keeping up to 7 days.